Before CU2 you could only send email in exchange 2013 to an external contact via power shell, Now we can do it via the EAC also. Below we do it via the EAC first, scroll down to see how to forward to a contact in Exchange 2013 powershell. To start open the EAC and create a new Mail Contact in Exchange 2013 with the correct name and External SMTP email address. Once done browse to the mailbox that you would like to forward mail from to the new contact and choose edit, then select Mailbox Features and Mail Flow. Then simply enable Mail Forwarding , browse and select the Mail Contact we created in the earlier step. Its quicker in power shell though. 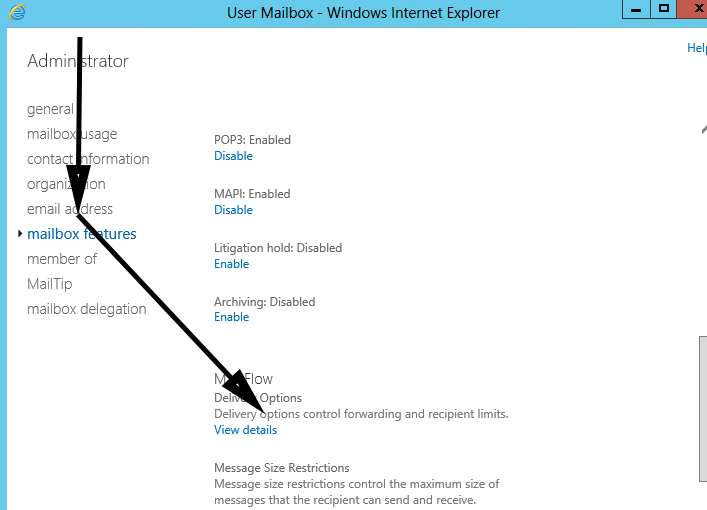 Below you will see commands on how to forward email in exchange to external contacts 2013 in power shell. First the command, then the description. The command above will STOP the forward of all emails from the mailbox “Allen” to Allen@hotmail.com due to the $false command. Remember, after the -deliver use the “TAB” button to see all forwarding options. We had to add a bit to the end of that to get it to work for us..
Actually you can create a contact in EAC under Recipients – Contacts but you must create forward from power shell if forwarding to an external address is needed. If external contacts are created or exist -ForwardingAddress should be used otherwise use ForwardingSMTPAddress. Your last command, regarding the removal of email forwarding is incorrect. All that command does is to remove the DeliverToMailbox portion of the DeliverToMailboxAndForward command. How can I configure forwarding to multiple external email addresses? What is the difference between -ForwardingSMTPAddress and -ForwardingAddress? In Exchange 2013, when you run the ECP OWA loads ot you get an error when running the Exchange 2013 toolbox.